Jake is a good ole country boy with a special gift for making the finest barbecue you'll ever taste. You see, Jake wandered around the country for years tasting, sampling and learning about the art of cooking genuine pit smoked barbecue. What he brought home was the secret to REAL barbecue: cooking it SLOWLY over a hardwood fire. He created his own special blend of signature barbecue sauces so you can spice up your meal the way you want. We specialize in smoked, slow cooked pork BBQ, beef brisket, pork ribs and BBQ chicken. Starting with only the best meats we can buy, our pit masters utilize our special rubs and sauces to produce meats that are tender, succulent and perfectly seasoned. As we say at Jake's, there's no cookin' like slow cookin'. Jake's opened for business in 1999 and has been a favorite of visitors and locals alike. Situated on General Booth Blvd. between the Virginia Beach oceanfront and Sandbridge, we are centrally located to local catering venues. Locally owned and operated by the Gettier family, we go the extra mile to provide the best barbecue around town and deliver a memorable dining experience. Micheal and Kevin Gettier have over 25 years each in the restaurant business and personally guarantee your satisfaction. 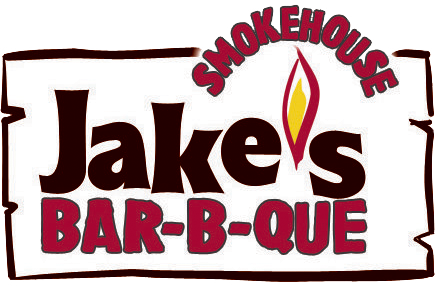 Jake's uses only the finest ingredients and time-tested recipes to serve up the most authentic pit-cooked barbecue and fixins'. Jake's has the ability to cater anything from a small get together for friends and family to events for several hundred. From a casual sports event to a sophisticated wedding, we will be there for you to make your event hassle free for you and your guests. You can choose from one of our pre-designed party packs, or we can work with you totally to customize a menu and level of service that meets your desires and budget.